Maggie Muggins Designs: You're Not Going To Want To Miss This! Heidi over at Sew.Craft.Create is celebrating her 1st Blog Birthday. I absolutely love her blog. First of all it's super cute. But she sews, she has a Silhouette and she has a lot of fun tutorials and free downloads too! Her blog is inspirational. To help her celebrate I am guest posting over there today with a fabulous new tutorial AND a giveaway. 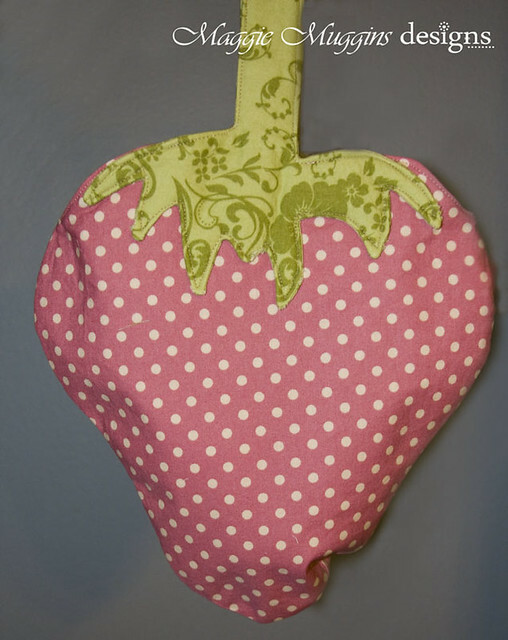 Head on over and learn how to make this Strawberry Tote. Comment on HER post to enter the giveaway (not here). While you're there check out the rest of her amazing tutorials. I think you'll all love her too! I'll be back here later this week to show you some sweet variations of this bag and with a free Silhouette Download or two! Found your blog via Sew.Craft.Create, this bag is wonderful, had a peek at the rest of your blog, you've shared some great ideas!